You're driving on sunset boulevard on your way to see your favorite band. The stupid light is broken so you're stuck in traffic, but you don't mind. You're listening to your favorite song with your buddies and imagining how awesome it's going to be live. It's a good day. Suddenly you hear strange horns. What the hell is that? It's ruining the song. You turn down the volume and realize that those horns are sirens. Is it a cop? Ambulance? No, it's too loud. People are panicking in the streets. They trample over each other in fear. The car next to you runs a red light at 80 miles per hour and slams into the driver side of a car passing by. Then it hits you. Those are the sirens that go off before a nuclear bomb obliterates all life in the area. You can't believe this is happening. What are you supposed to do? There's no time. You have to act now. 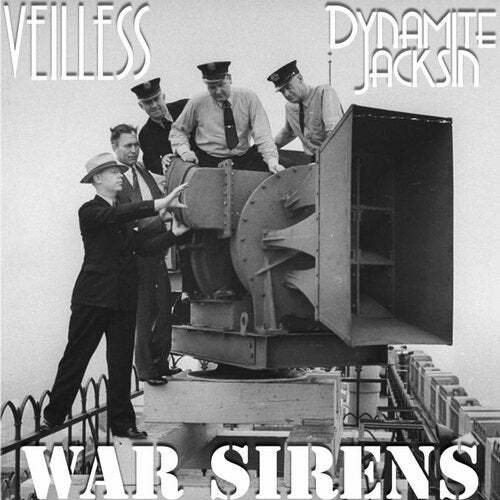 The bone chilling screams of these sirens are the basis for the synthesized sounds in Veilless & Dynamite Jacksin's original track, "War Sirens."